Every company has its own policies and procedures that have to be shared with people in the organisation. In the past this was typically done by distributing paper copies. Since its introduction, e-mail has largely replaced the need for paper distribution, and using e-mail and file shares as the companies only Policy Management Software is pretty common. However, there are now a number of better alternatives. Sending important documents by e-mail has the big disadvantage that there is no way to tell whether they have been read or not. You also don’t want to flood staff inboxes further and lose important e-mails in the process. Storing policy documents in SharePoint is more efficient as it allows people to find them using search or via links on the intranet. 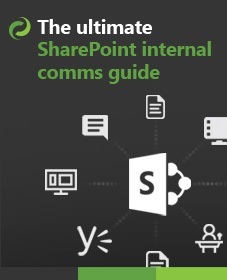 Nonetheless, many organisations continue to e-mail documents as attachments, and aren't using the features of SharePoint to give an effective solution. There are smarter ways to do this, and in this post we’ll be exploring some of them. When a policy or procedure is created, there is of course, a reason for doing so. For example, a procedure for requesting annual leave is pretty common. When people don’t follow this procedure, their annual leave might not be approved or other problems occur. Similarly, safety policies created to improve safety also need to be read and followed. When policies are updated, or when people have not complete their reading task on time, notifications can be sent to people via e-mail. These e-mails have a personal touch, because they are not sent to a huge group of people, but only to the recipient. Further, they also include personal details like the person’s name. Sending an e-mail has the disadvantage that there is no way to track whether the document attached has been read. DocRead offers a way to assign tasks to people to read policy documents. 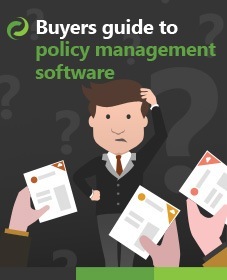 It can be tracked to see whether or not people have read the required policy documents. SharePoint has audiences built in, and DocRead extends that functionality by targeting audiences for specific policies. Some policies are for the entire organisation, but other sets of policies are only meant for one division or department. Audience targeting makes sure people only see the documents they should be seeing. It allows for Required audiences, audiences that must see the document, and Recommended audiences, which consists of audiences that are allowed to see the policies, but don’t have to. Easily track who has read the policies, and who has not with the Real-Time Reporting feature in DocRead. It contains a high level dashboard which displays a summary with e.g. top reading tasks and total number of tasks. By drilling down, details for each policy document can be displayed to see exactly who has read the document and when. Some organisations might be obliged to audit whether people have read policies or not. For example, when safety regulations are in place, laws might require that safety policies are read and this must be audited to proof. DocRead simplifies this kind of auditing. To really add to your overall Policy Management Software solution DocSurvey together with DocRead makes it really easy to create surveys attached to documents, to gather users’ feedback at document creation or attach quizes with a pass mark to test that people really understood the documents they just read. It’s important that policies are read and understood. Sending them as e-mail attachments is not the smartest way of doing this. DocRead from Collaboris can help you manage your policies and you’ll become a very smart manager. It is built upon of the best document management system available – SharePoint – and extends its functionality with a lot of exciting features. Become a smart manager and give DocRead a try.